After several month from enactment of Goa Real Estate (Regulatory and Development) Act rules were notified in the state and six month from the appointment of Goa Real Estate Regulatory Authority (RERA), the ministry of urban development came with the biggest announcement in the history of Goa real sector. On Monday, The GOA RERA (Real Estate Regulatory Authority) website portal has been launched by the ministry. Goa government has launched on online portal that will allow e-registration and mutations. With the launch of this portal a new chapter in Real Estate sector has begun. Official inform that the platform “Goa Government Service Portal and Integration of Property Registration with mutation” will not only bring transparency in the process but also ensure that all the builders do get registered before the completion of 90 days. Apart from Registration with RERA Authorities and Probing complaint against Builder, the other services of the portals includes issuance of caste certificate, residence certificate, income certificate, land conversion, partition of land, sound permission and domicile certificate. Although it is cleared by the authorities that this service will be accessible only through Aadhaar-based registration. In order to promote its popularity among citizen, the government has waived off the fees charged for such services. This online portal has been made public by Goa honorable chief minister Manohar Parrikar, keeping in mind the Right to Service Act in future. 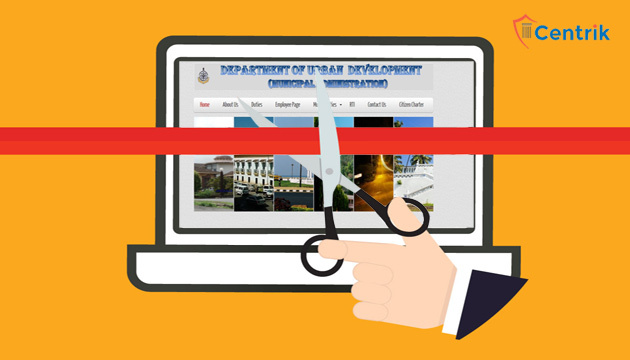 The portal is designed in such a way which minimize the interaction between citizens and government official. The state is planning to include more department and services in portal. This move will help eliminate delays in property registrations and other real estate related grievances.